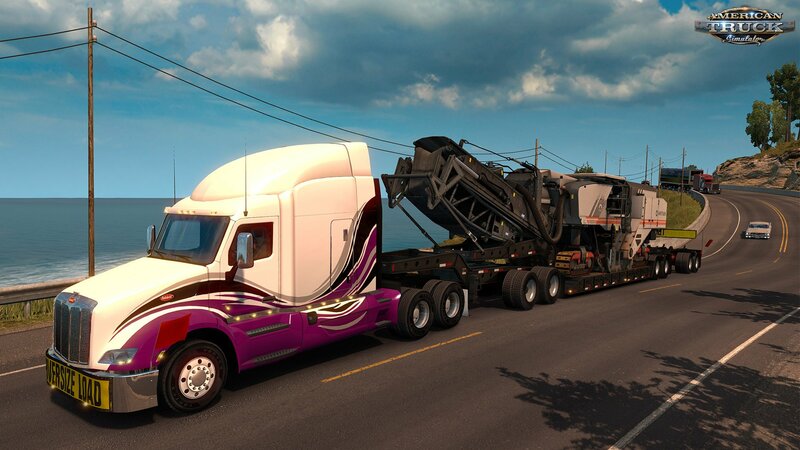 Looks like 2017 is going to be a very exciting year for truck sim fans. 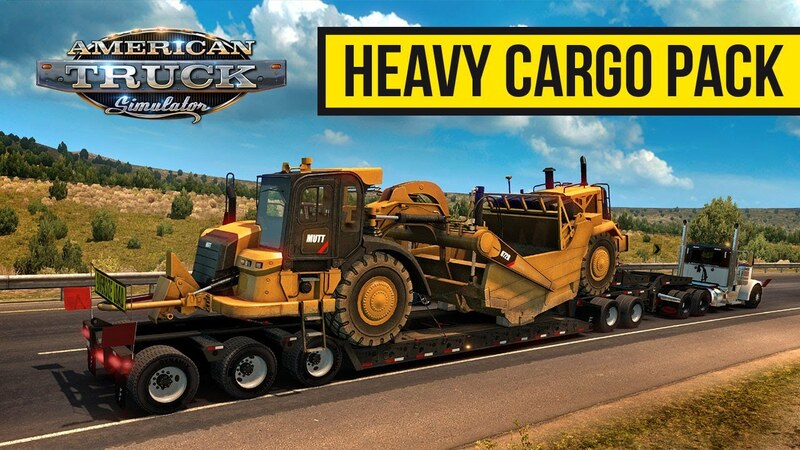 Today we are here to announce the release of Heavy Cargo DLC for American Truck Simulator! 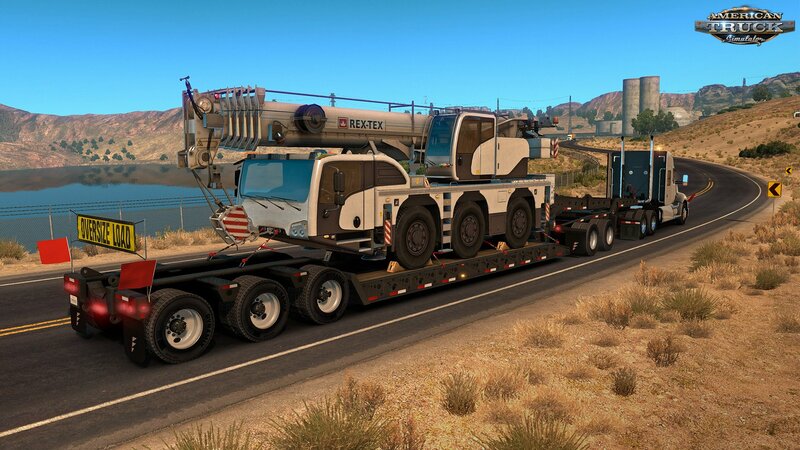 Much like in our previous release of Heavy Cargo Pack for ETS2, this DLC contains a set of new features that will enhance your gameplay. 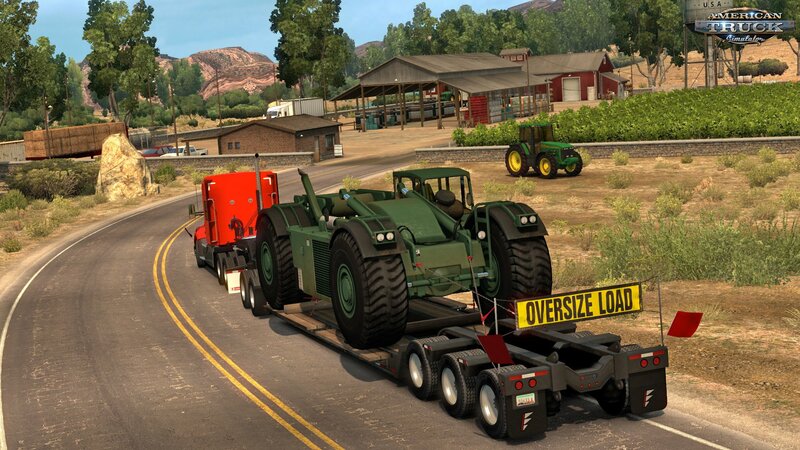 Let's see what you can look forward to in this heavy haul pack. If you are wondering why these trailers look very different from the ones used in Europe, look up Federal Bridge Gross Weight Formula. The trailers tend to be quite long and multi-pivoted for a good reason. Let's familiarize ourselves with each part. 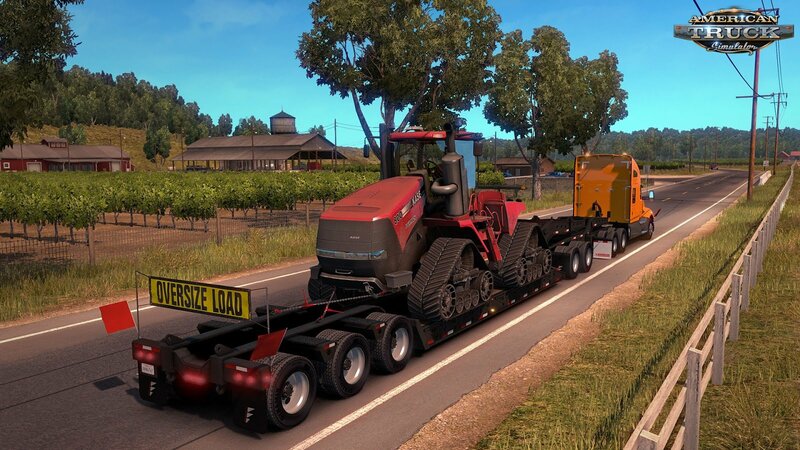 The first part which is the closest to the tractor is called the jeep and it is connected to the truck via the normal fifth wheel. 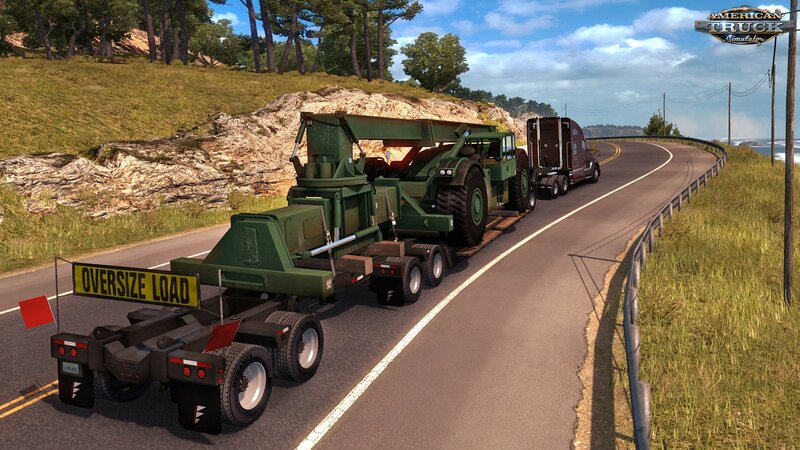 The second part is called the lowboy and that's where the cargo is placed. It's either in the middle or it's the last part, depending on the configuration. 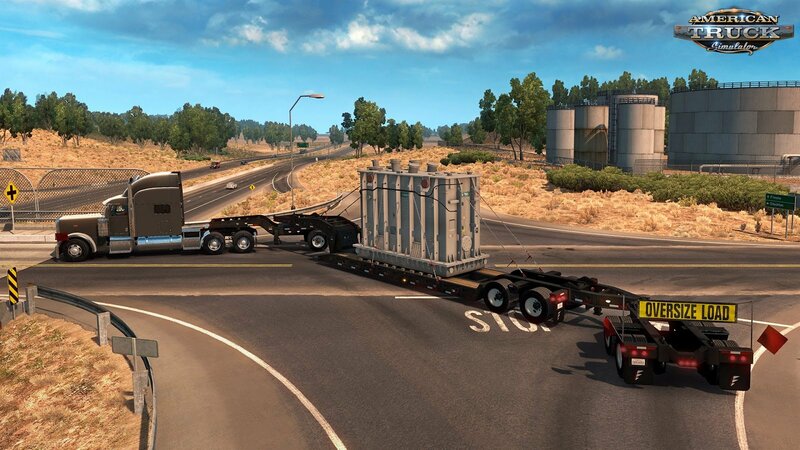 The third part is semi-optional in relation to the cargo that is transported. 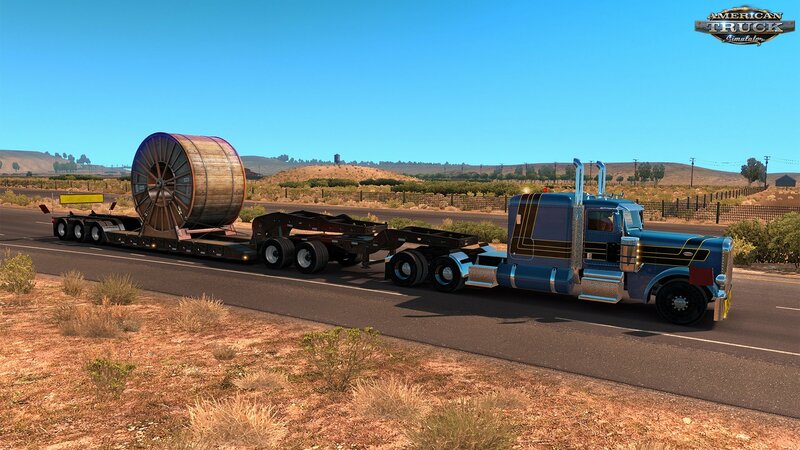 It's called the spreader (or the stinger or the axle booster as it is called sometimes) and as the name suggests, it is there to spread the weight of the cargo across more axles and greater length. All three have their own pivot point which makes backing really entertaining and actually generally not advisable. Our Heavy Cargo Pack comes with a mix of 2-part and 3-part (with spreader/stinger) configuration trailers, chosen to suit each particular cargo. We have recently added new engine variants (with real behavior) to the game and we feel that this is the right time to remind you of that. All trucks now have a 600 hp engine option available and some trucks even have a stronger engine to choose from. There are of course still lower power engines available too - very sensible and economical choices for most transportation scenarios. 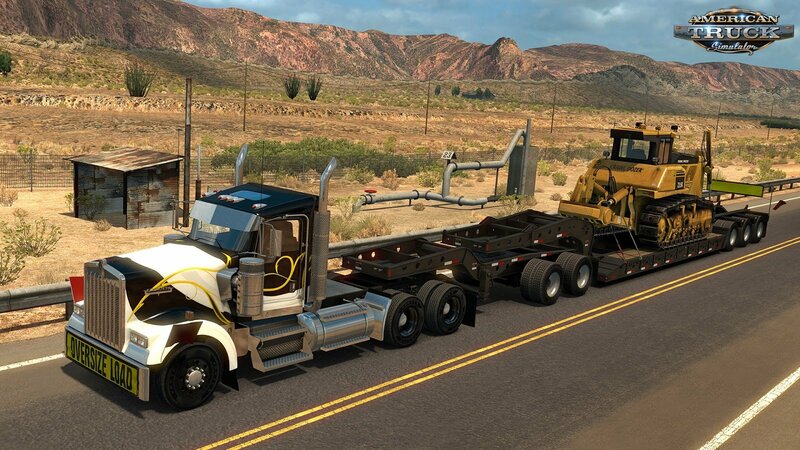 If you happen to play both Euro Truck Simulator 2 and American Truck Simulator, consider this link: SCS Cargo Addict Bundle to combine two discounts on the DLC.